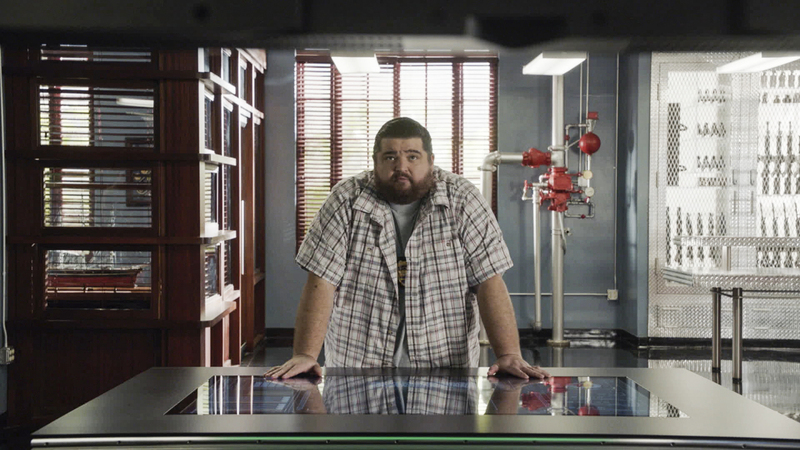 Official description, photo preview, and cast list for the Hawaii Five-0 CBS episode "He kama na ka pueo" or "Offspring of an Owl"
“He kama na ka pueo” or “Offspring of an Owl” is the title of a new episode of Hawaii Five-0 airing tonight (April 12) on CBS. In it, Five-0 investigates the murder of a man whose body may hold the key to a 20-year-old case involving a kidnapped girl whose father never stopped looking for her. You can see some preview images below. Recurring cast in the episode includes Shawn Mokuahi Garnett (Flippa) and Charlie Saxton (Ricky Schiff). Additional guest stars include David Shatraw (Daniel Nettles), David Lee Smith (Wade Henderson), Thomas Blake Jr. (Michael Manoa), Rachel Chambers (Emily Henderson), Keisuke Hoashi (Basil Inouye), Yvonne Iversen (Receptionist), Stacy Paris (News Anchor), Bobby Cabino (Manoa’s Hostage), Victor Quintero (Dale Sampson), and Romel De Silva (Mana).